Featured collections are curated selections of images from stronger shoots related to each genre. Only the best images make it into the collections, with the newest images at the top, meaning that finding images using collections can be much more focused than with the search function. 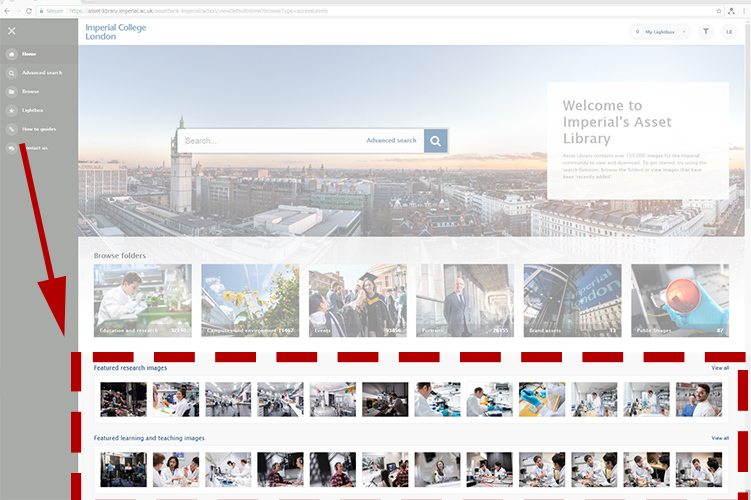 Its possible to navigate quickly between images in the featured collections and each item includes a link to the full set of images from the original shoot, which can help you find related content easily. 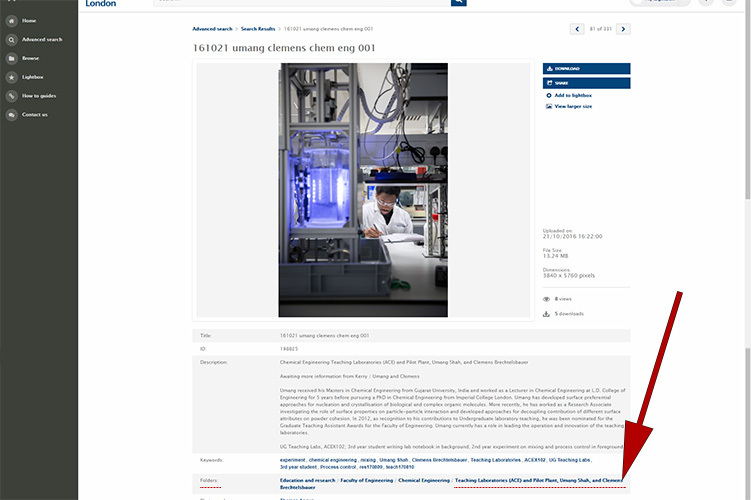 In this example, I’ve selected Featured research images and have scrolled down to the image highlighted below. Clicking on the thumbnail image brings me to the image’s page. 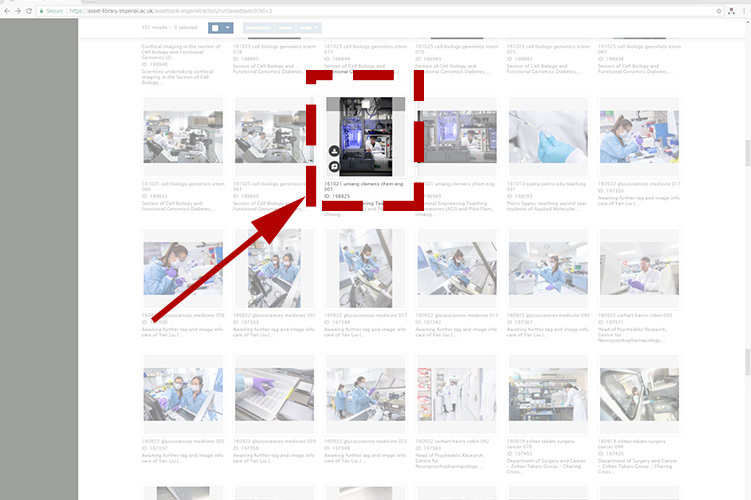 It’s an nice image of a researcher in a lab, but it’s a portrait image and I’d like to see if there are more similar images from this set, perhaps a landscape image or other images relating to this one, that might work better in the space I had in mind. I can do this by looking in the Folders information below the image (you may need to scroll down), where I can see the name of the folder it originally came from. By clicking on the link to the folder, I can see all the images from the original shoot. 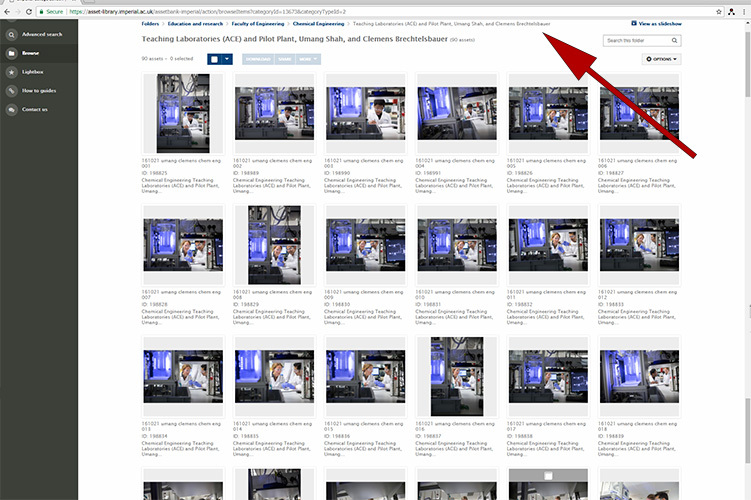 Now I can see a great selection of images from the shoot in the folder. Moreover, once inside a folder, the stronger images are usually nearer the top, which makes it much easier to find them than a regular search. Watch an introduction to photography video tutorial on Lynda.com. Imperial staff and students have free access to Lynda courses.